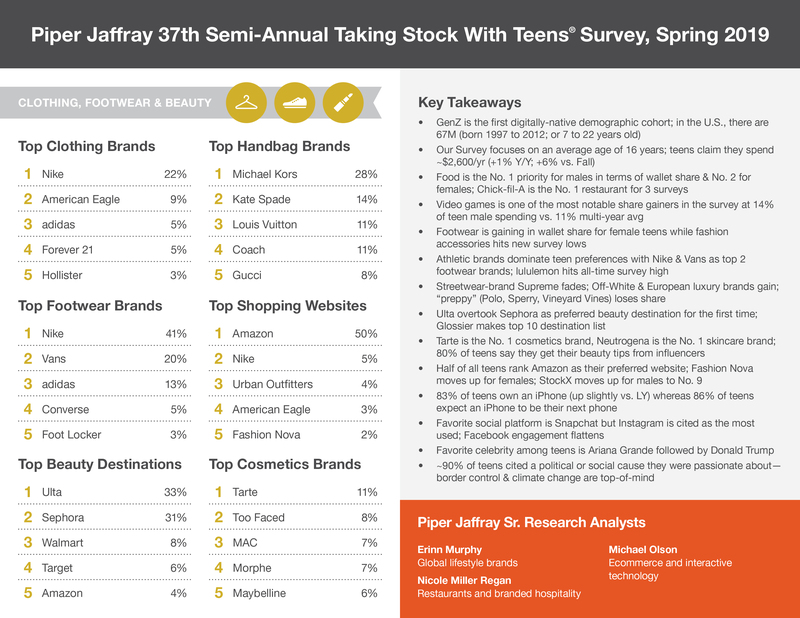 Piper Jaffray Companies, an investment bank and asset management firm, completed its 37th semi-annual Taking Stock With Teens® survey, which highlights discretionary spending trends and brand preferences amongst 8,000 teens across 47 states with an average age of 16. Generation Z, which contributes approximately $830 billion to US retail sales annually*, represents an influential consumer group where wallet size and allocation provide a proxy for category interest. The Piper Jaffray Taking Stock With Teens® survey is a semi-annual research project that gathers input from 8,000 teens with an average age of 16 years. Discretionary spending patterns, fashion trends, technology, and brand and media preferences are assessed through surveying a geographically diverse subset of high schools across the US Since the project began in 2001, Piper Jaffray has surveyed more than 170,000 teens and collected over 44 million data points on teen spending. The Piper Jaffray Taking Stock With Teens® survey is a semi-annual research project that gathers input from thousands of teens with an average age of 16.3 years. 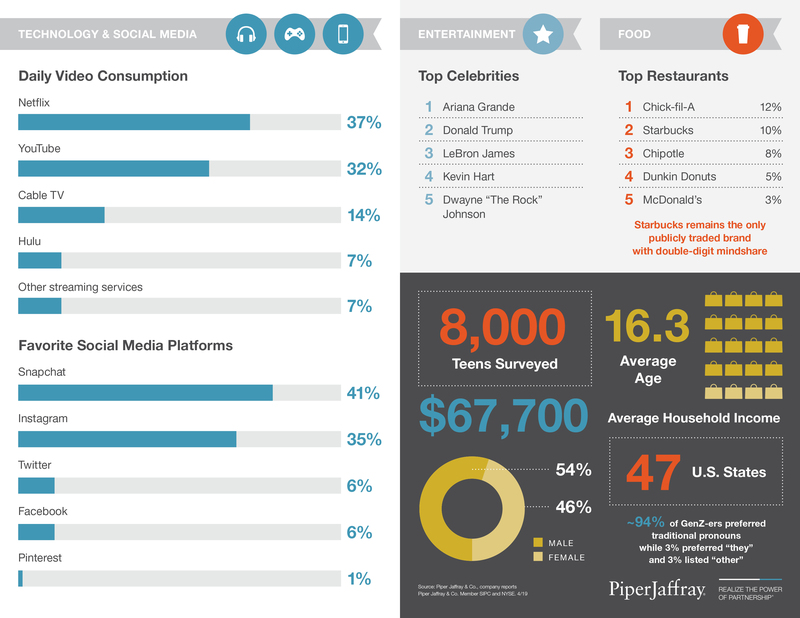 Discretionary spending patterns, fashion trends, technology, and brand and media preferences are assessed through surveying a geographically diverse subset of high schools across the US Since the project began in 2001, Piper Jaffray has surveyed over 170,000 teens and collected over 44 million data points on teen spending.